Located directly to the right off of the Library, this second-floor bedroom offers views of the Chardonnay vineyard and barn. 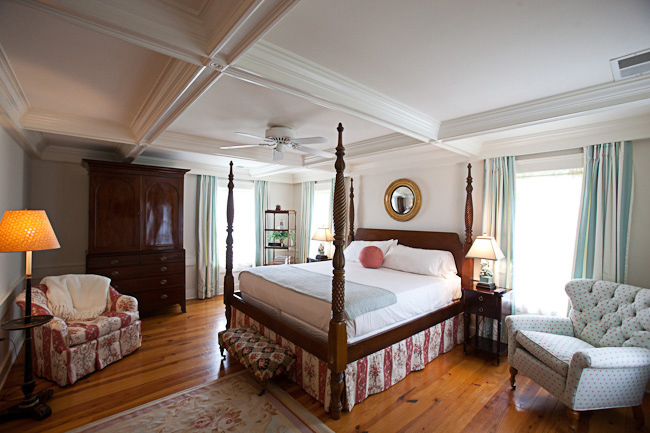 It features a King-size, four-poster bed, architectural beamed ceiling and large sitting area. 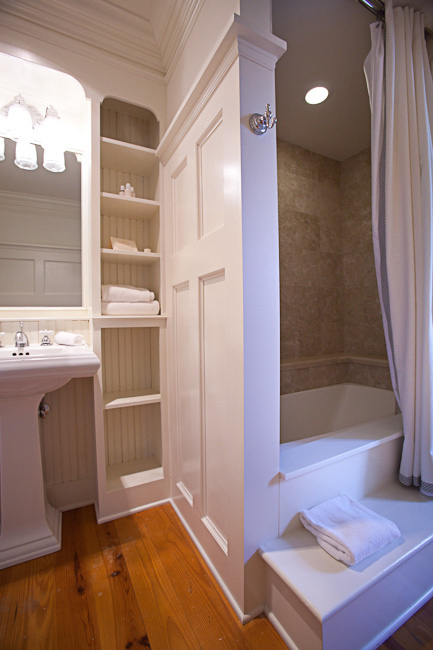 The bathroom has a simple pedestal sink, tub shower and separate toilet room. 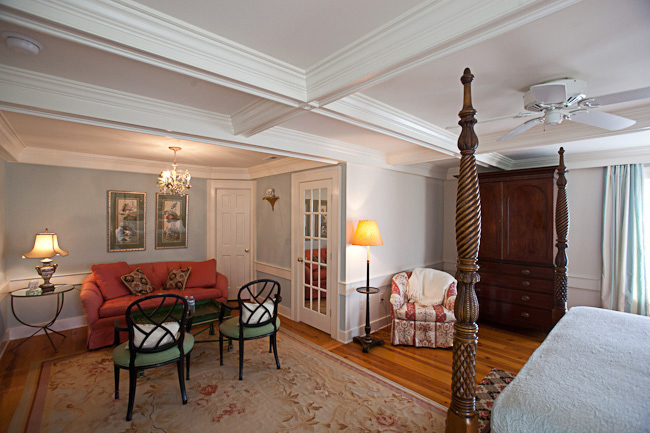 Other features include a walk-in closet, flat screen television and wi-fi.